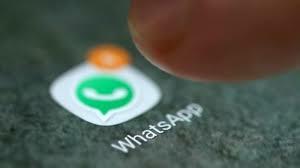 One of the most favorite messaging app WhatsApp is all set to get support for group video calling, Zuckerberg announced during his opening keynote on Tuesday. The app will also get support for stickers "soon", the company later revealed via a blog post. Blog post read as " Voice and video calling are very popular on WhatsApp, and we’re excited to share that group calling will be coming in the months ahead. Stickers are also coming to WhatsApp soon". The app will support third-party stickers created by developers. WhatsApp for Business, the recently introduced service targeting business, already has 3 million users worldwide, the Facebook CEO said.